The warning that Greek banks are faced with the problem of the “red” loans issued the Deputy Prime Minister and Minister of Economy and Development, Yiannis Dragasakis, yesterday in Parliament, saying that if non-performing loans are not be reduced, it would require a new recapitalization of credit institutions. He argued however, that there is a reduction in overdue loans and that arrangements are being considered to speed up the handling of the issue. 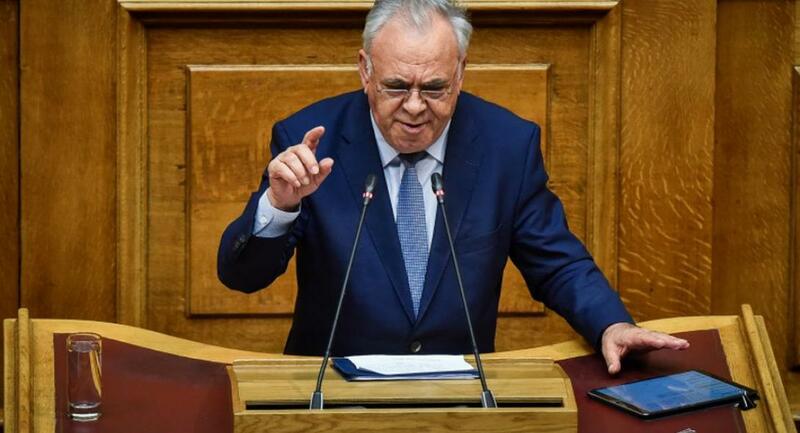 “We are the country with the most ‘red’ loans”, the Minister of Economy stressed in his speech to the production and commerce committee, to add: “If we are not careful, we could lead the banks to ask for new funds and the Greek taxpayer may be called once again to pay. We can not underestimate the fact that Greece is the country with the most ‘red; loans. As such, there are no manual solutions, there is no guidebook to deal with the problem. If we are not careful we could make arrangements that will lead the banks to a point where new funds will be needed. And that’s why the bill has not been completed yet”, he said. Non-performing loans were set at EUR 90 billion, or 43% at the end of 2018, with analysts estimating that growth in Greece will only be sustainable if the deleveraging of banks is completed. To do this, however, both the transfer of the problematic loans outside the balance sheets of the banks and the restructuring of private debt should be achieved. Referring to the extension of the Katseli law, the Deputy Prime Minister informed the committee that the new legislative framework is in the process of being processed, in order to be discussed in February, early March.